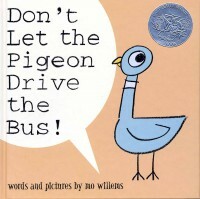 I love Mo Willems but the pigeon books are my favorite. I think they just get the kids attention and they are interactive you can get the kids to answer the pigeons questions and tell pigeon that he can't drive the bus. Definitely would use these in the lower grades particularly K and 1st. I saw an idea on Pinterest about using it during a transportation unit and making an anchor chart with all the modes of transportation pigeon shouldn't drive.